The above quote defines the principles of Vedanta. The ancient philosophy of Vedanta encourages you to engage in action so you look forward to Monday mornings instead of Friday nights. 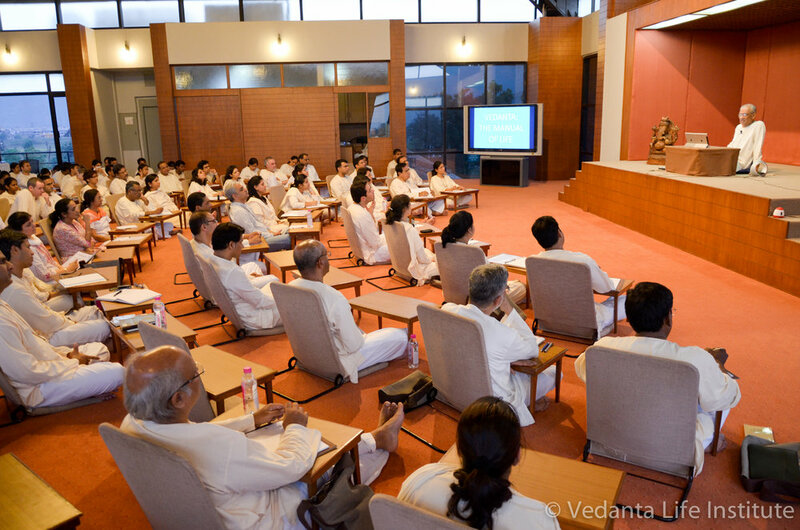 Weekly classes are conducted by graduates of the Vedanta Academy. The classes are conducted in English and are open to all. Any prior knowledge on Vedanta is not necessary. The pre-eminent philosopher A. Parthasarathy, popularly known as 'Swamiji', is widely acclaimed as the greatest living exponent of Vedanta, the ancient philosophy of life and living. The three-year online study program on Vedanta Philosophy comprises more than 390 video lectures by A. Parthasarathy in the three-year course at the Vedanta Academy. A. Parthasarathy has written ten books presenting the timeless Vedanta philosophy of life in contemporary thought and language. Three of the books are bestsellers. "A life without this knowledge is a life not worth living." If you selected 'Double' please write down the names of the two attendees. Follow the link to pay via Paypal. hank you - we will look forward to seeing you on 5th October.